I walked out from the theatre, wondering whether the others felt the same sensations as I did. Still do, in fact. Rarely have there been a movie that truly met my expectations, consciously or otherwise. For my part, that expectation was undoubtedly stoked by the re-viewings of some of his older films, such as ‘Memento’ and ‘Following’. I went as far back as his short film, ‘Doodlebug’, which I had shown in my class as a way of telling the story without using any dialogue. 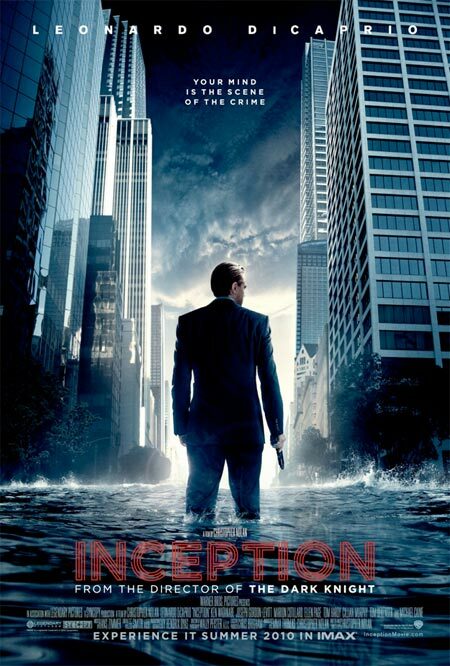 That’s not going to happen in ‘Inception’, though; it is a very wordy movie. Nonetheless, the words contributed to the sensations I was referring to earlier. That sensation? Beyond a sense that my mind has been given a good going over (hence, the title), there is a feeling that…I got everything that I need to understand the film. I was jacked right from the very beginning all the way to the end, paying attention to everything and anything that I could feast my eyes upon. I felt as if I got everything, but…I wasn’t sure if I did. You have your ideas, you have your interpretations, you have your answers, but…you’re not sure whether it’s the one the examiner will want to hear, whether that’s the version that would get you the high distinction you’re looking for. That’s the sensation that I’m talking about. We begin with Dominic Cobb (Leonardo DiCaprio) washed up on a beach. He is groggy, dazed and confused, but is dragged nonetheless inside a Japanese castle (it wasn’t a real castle in the literal sense, but that was the sense that I got). He is sat down in front of an elderly man in a stately room, a man who appears to be a Yakuza boss. They talk, but within moments, within the same room, however, we end up with the same Cobb, but now he is groomed, dressed and ready for the kill. The place is the same, but as it turns out, we are in the mind of Saito (Ken Watanabe), where Cobb is actually hired to do a job: steal Saito’s ideas. Dominic and his team, Arthur (Joseph Gordon-Levitt) and Nash (Lukas Haas), are a group of thieves who specialises in the thieving of ideas within people’s subconscious. The Yakuza's gonna get it this time. …his dead wife, Mal (jeng jeng jeng). Actually, she is more of a manifestation of his own guilt and fears, so in that sense, his greatest enemy is himself. But given that large parts of the film is clearly played out within someone’s subconscious at any given time (bear this in mind), she doesn’t really exist, but is a formidable enemy all the same. It’s a very dangerous game they’re playing, but there are rules in place, such as they can die in a dream, but it will result only in their awakening. These rules are clearly stated out in the dialogue, but there’s quite a fair number of them that you do have to make the extra effort to keep up. It is these rules that I have been (subconsciously) mulling over in my mind, wondering about the real truth that could or should be extracted from ‘Inception’. Then again, a lot of his films have always defied simplistic and singular conclusions (and if they didn’t, they took a pretty roundabout way to get there), arguably making Christopher Nolan one of the few consistently post-modernist contemporary filmmaker around. This is a part of the reason why the reception to this film has been as great as it has been. At times, I do admit that it has been somewhat overwhelming, and exaggerated. There is a status update on Facebook that I noticed, describing it as the movie of the decade (I don’t know whether my friend Joanne was referring to the noughties or the 10s of this millennium), but still. Movie of the decade? Really? It’s great, but is it really that great? In some ways…no. It’s always a very tricky thing to compare films to others, often made with different objectives in mind and for different audiences. For my part, I believe that ‘Once’, ‘Samson and Delilah’, ‘A Bittersweet Life’, ‘Eternal Sunshine of the Spotless Mind’ (another mind-bender) and some of the Romanian New Wave films could make as credible a claim. They have been just as effective, just as strong, just as emotional, breaking new ground in their own ways. 'N Sync's video for 'Bye Bye Bye' was influential. In other ways, however, there aren’t that many films that allowed for the personalisation of the experience of watching a movie. You get a film like ‘Inception’ in the theater, pack it with 300 people, and you could come out with potentially 300 different readings, depending on which part of the film you think is played out in any one of the character’s subconscious (hence, why I wrote ‘clearly played out’ in the above; in some parts it is less clear). It’s like the song ‘MMMBop’ by Hanson; ask ten different people to write the lyrics to the chorus, and you’ll have ten different submissions (though more on the aesthetics rather than the meaning itself; how would you spell ‘Mmmbop bedip bedap dap mmmbop…’). Other films tend to have a more restricted set of readings, due to the limited number of signs given within the film. 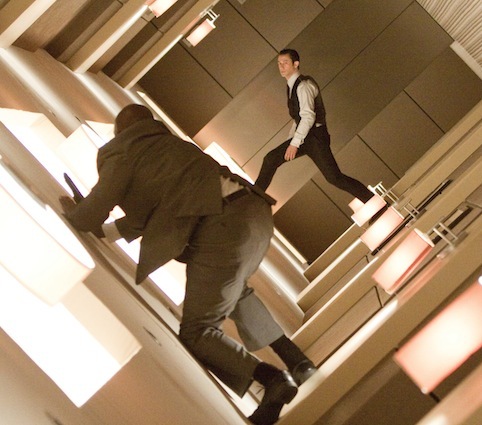 ‘Inception’ gave us a lot of signs, but also asks us to question as to the reliability of these signs. Take Dominic Cobb, for example. How reliable a narrator is he? I don’t mean narrator in the sense that he is literally narrating each and every scene. The narrator in this sense refers largely to the main character, the one person within the diegesis who is holding our hands and leading us all the way to the end of the film. Cobb is our narrator, but in my view, he’s not a reliable one. His instability is noted by his new architect, Ariadne (the lovely Ellen Page; sorry, Fazil). Having someone who has such deep issues as Cobb helps to make things interesting, however. He has to overcome himself, he has to fight himself, an obstacle that no one else on his team was preoccupied with throughout the film (or did they?). doubt that Christopher Nolan and Hans Zimmer attempted to use the music not just to enhance, but also to reveal. One particular interview had Zimmer stating that the story starts before the opening credits. What comes before that? The opening strains of the score, of course (again, I’ll make this clearer later). I obtained the soundtrack after watching the film, and I have to admit that it doesn’t quite live on its own as well compared to other music that Hans Zimmer has done. ‘At World’s End’, for example, is still used by me to inspire great images and ideas. 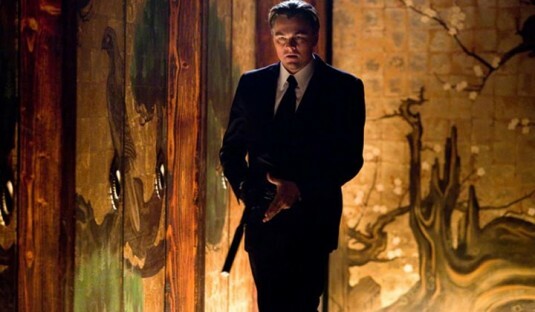 ‘Inception’, however, moved a lot closer to ‘The Dark Knight’. They both inspire horrific feelings within me; I even detected strains of Linkin Park’s ‘New Divide’ from the second ‘Transformers’ film, but here, they seem to work best when you don’t really notice them (or how repetitive they are). It’s more effective when it works on your subconscious. Grow old together. Let's do that. 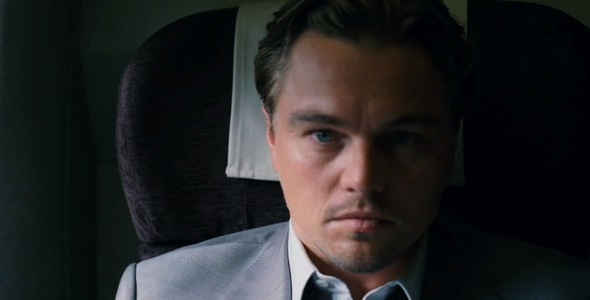 Cameron urged DiCaprio to hold on to his eyes. Let the face mature, the body grow, and the mind expand, but never lose the eyes. In other words, never lose the biggest quality you have, which is charm, charisma and personality. Talent is one thing, but the expression of that talent is another. I’m not saying that Gordon-Levitt is quite on the same level as DiCaprio, but I am very impressed with the resume he’s been building stealthily over the years, and I look forward to bigger and better things. Going beyond him and Leo, I thought that Cillian Murphy also raised his stock tremendously in the film. He’s always been a beautiful actor (literally), and once again the eyes come into play, for they are absolutely haunting. This is the film that solidifies Christopher Nolan’s status as a filmmaker who can do whatever he wants. He literally can, for few people achieve the level of success he has over multi-decade careers, let alone 7 high-quality, well-praised, successful feature films in little over ten years. He surrounds himself with good people, the mainstays like Wolfgang Pfister, Lee Smith and Emma Thomas (Hans Zimmer and Michael Caine falls under that category now too, I reckon). The man with the Midas touch. …for God’s sakes, man, what are you waiting for? It is liberating reading your blog. How exciting to find someone who has the same passion and view on films. Chris Nolan never dissappoints his audience and critics. Yes, it is a wordy film but not as wordy as Tarantino’s. To this date I’m wondering why I was the only one in cinema to scream “uhoh” when the metal top playfully trying to fall and stop spinning but it’s not. Have you watched The Man from Earth ?